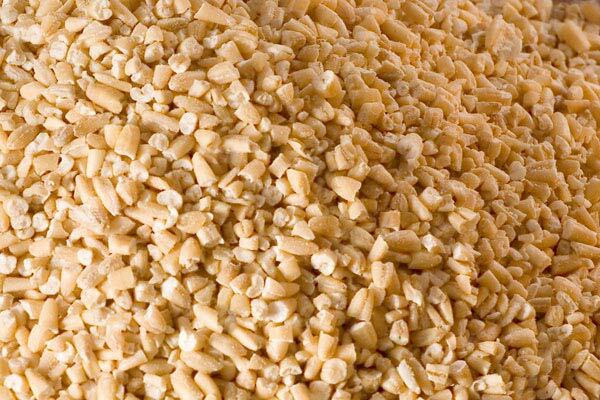 Oats and Quinoa and Grocery Stores: OH MY! As I write this entry, I’m sitting in the deli/mini grocery/coffeeshop my girlfriend works in, and I’m reminded of how lucky I am to have a store so close to my apartment which sells bulk spices and grains. Wait a minute, let me back up and give a little free publicity: the store of which I’m speaking is called Washington Perk , and it’s fulfilling a serious grocery shortage in the Winston-Salem, NC area. Ok, I’ll be more specific- yes, there are tons of grocery stores in W-S. Harris Teeter and Food Lion pretty much dominate the grocery options, though many people also utilize other big name chains (Costco, Wal-Mart, etc.) In my immediate neighborhood, we have a very substantial Spanish-speaking population and are lucky enough to have a Compare Foods Supermarket. For those of you who are unfamiliar, Compare Foods specializes in items which are specific to Latin cuisine. There’s a great Spanish bakery, vast crates of bulk beans, as well as an extensive butcher and deli. There’s also a multitude of options in food categories which are typically sparse or bare in your typical “American” grocer- where else can you find ten different kinds of Mexican hot chocolate? Also, on the scale of “expensive grocery stores”, CF ranks on the very low end of the spectrum. However, Compare Foods is not a great source for organic produce (or any other organic item), and it can be cost in-effective to shop for items which are not prominent ingredients in Latin food culture. For example, though cheese is used in different types of dishes, traditional cheese (cheddar, etc.) produced “for” American cookery is EXTREMELY expensive. This is very similar to Super G Mart, a store in my hometown of Greensboro, NC, which specializes in Asian cookery. Super G Mart’s produce and meat selections are an unbeatable price/quality equation. However, I’ve seen packages of cheese costing nearly $7. Of the available stores, there are very few which are locally owned. There are also very few which offer a large selection of local and/or organic products. And in my actual neighborhood, there are absolutely no coffee shops, and very few restaurants. This is where Washington Perk comes in. The Perk is locally owned, and features fair trade coffee, a small (but growing!) selection of locally produced dairy and produce, as well as a number of organic grocery options. There’s also a fairly inexpensive deli, and the aforementioned bulk spices and grains. My father has sworn by steel cut oats for a number of years, but I’ve always been turned off by how long it takes for them to become soft and chewy, as opposed to tough chunks which get stuck in your teeth leading to a morning of being called ‘oatmeal mouth’. I’m also turned off by the price, but most foods which are actually good for the human body tend to fall outside of my budget. I’m coming to the conclusion that instead of choosing unhealthy options because of the price, I need to re-work my entire food budget. Danica of Danica’s Daily has a great recipe featuring steel cut oats which I am extremely psyched to try. Quinoa is the new love of my epicureal life. I can’t believe I’ve let my food discrimination keep me away from this delicious delicacy for so long! 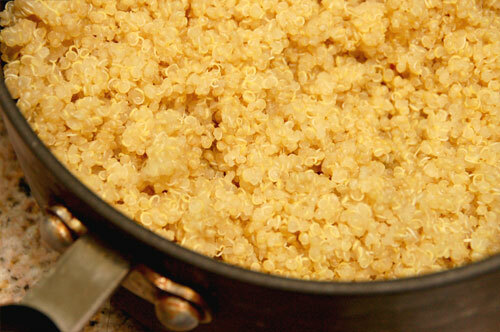 The texture is an excellent substitute for rice or couscous, and it is unbelievably versatile. It can be savory, sweet, salty, or all three and more! I’ve been reading a lot about the positive health benefits of adding spirulina into one’s diet. Spirulina is a complete protein, and contains all essential amino acids. It’s stronger than the average plant protein, and it’s rich in a host of vitamins and minerals. 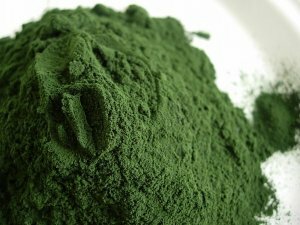 Of course, the color and flavor can both be rather off-putting, but I get the impression that spirulina powder can be painlessly added to food and drinks. What about you? What foods/recipes are you excited to try out this year?